With a background in psychology, Jenny Lynas has held various positions within corrections since she joined QCS. 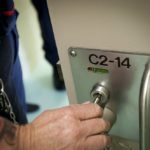 She began as a counsellor at Arthur Gorrie Correctional Centre in 2001, followed by counselling and psychologist roles at the former Sir David Longland Correctional Centre (now Brisbane Correctional Centre). A few years later she moved into project and more senior management roles but found that she missed hands on psychology work. With this in mind and a passion for adventure-type activities, Jenny decided to join the Australian Defence Force (ADF) Reserves in 2006, a move which allowed her to maintain her professional accreditation and have that client contact as well. She initially applied as a general service officer and would’ve been content driving trucks, but given her psychology background, the ADF had other plans for her. She entered as a psychology officer, which is classified as a Specialist Services Officer in recognition of the fact that specialist officers bring with them specialist technical skills, a breadth of experience and additional capability that builds on what the ADF already have. 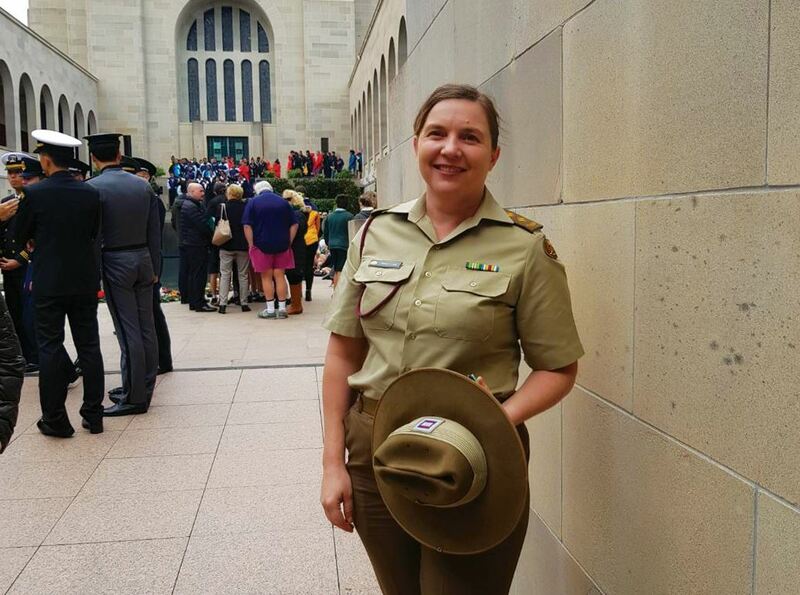 “Being a psychologist in the Reserves has provided some of the most professionally and rewarding activities that I’ve done as a psychologist, which wouldn’t have been possible without the high level of support from my employer in QCS,” Ms Lynas said. 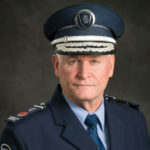 There are government-wide policies in place for special leave requirements specifically for Reservists, including an employer support program to release officers to undertake military activities. This program is funded by the Federal Government to assist employers in off-setting the financial loss of staff members while on deployment. “If the Reserves is something that interests you, pursue it. It will challenge you and allow you to do something different, but always be mindful of your priorities – family first, civilian work next, then the Reserves,” Ms Lynas said. QCS releases Jenny from her civilian job throughout the year so she can undertake regular army exercises and pursue other training opportunities. This has included two short deployments to the Middle East. In support of Operation Slipper in 2012 and Operation Okra in 2017, her primary role was to conduct Return-to-Australia Psychology Screens or mental health screens on soldiers returning from deployment. The screens were critical in assessing how the soldiers were tracking, that any experiences or distress they experienced or encountered on deployment were being appropriately managed and people were being linked into support if required. Attendance at the 2018 Australian Military Medicine Association conference in Canberra. Participating in adventure training activities, which involved back country skiing and snow survival in Falls Creek – sleeping out in snow tents and building snow caves, demonstrating how you deal with adversity and physical challenges. Providing resilience training as part of the Op Kokoda Legacy where children of people who have passed in service walked the Kokoda Trail in their memory. Jenny developed and presented a training package for them in the lead up. Opportunities to parade on a part-time or full-time basis while completing a Masters in Clinical Psychology through James Cook University (JCU) in Townsville, including up to 1000 hours of placement (equates to 12 months of full-time work). QCS supported Jenny to be released without pay to meet the placement requirements however, her Reserve involvement opened up placement opportunities with a full-time three month contract with first Psychology Unit in Townsville as well as parading on a part time basis when completing a placement at the JCU Psychology Clinic in Townsville. Additionally, Reserves is about maintaining skills as a soldier and meeting the same standard that would be applied for full-time service – with that comes fitness, medical, dental and shooting requirements, job suitability, being prepared to deploy and making sure that all your professional skills, registrations and credentials are up to date. Jenny’s civilian role (aka ‘day job’) as the Director of the High Risk Offender Management Unit also keeps her very busy. Her team is responsible for the management of offenders and prisoners under the Dangerous Prisoner (Sexual Offenders) Act (DPSOA) 2003, support to Supreme Court matters as well as the supervision of high risk sexual offenders in the community, including GPS monitoring of DPSOA and parolees throughout the State. Currently in the Reserves, Jenny has just been promoted to Major and is acting Officer in Command of First Psychology Unit Brisbane Reserve detachment where her focus for the remainder of the year is developing her soldiers and building that capability for army to prepare them for deployment.